Photographer Kawika Singson caught fire while shooting lava. It’s very possible that your battered, old copy of the book contains some fore-edge painting, which is an illustration or painting that is hidden on the edge of the pages of the book. The technique allegedly dates back to the 1650s and we have no idea why people went through the trouble of painting on their old works of literature, but they are there. As impressive as this is, we can’t imagine why someone would commit countless hours to making these hidden images. Although, in the 1800s, the ladies would have been mighty impressed. 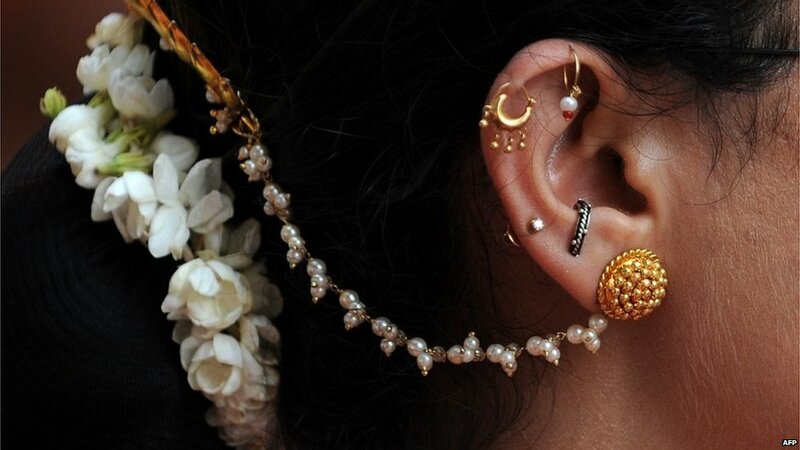 A woman in India wears traditional jewellery during a procession celebrating the Maharashtran new year in Mumbai on 11 April 2013.